Read more about our Range Rider Pilot Project in articles from The Seattle Times, High Country News, Yakima Herald and Wenatchee World. Last month, ranchers across the Northwest turned out their cows for the annual grazing season. In many areas of Eastern Washington, public, private and tribal livestock grazing allotments overlap with the territory of Washington’s recovering wolf population. Where these predators and livestock intersect is where you’ll find range riders sponsored by Conservation Northwest. Working on horse, ORV, foot and even mountain bike, these herd supervisors are using nonlethal methods to prevent conflicts between wolves and ranchers; protecting livestock, rural livelihoods and Washington’s recovering wolves. In three years of operation so far and a total of nine project seasons completed, ranchers participating in Conservation Northwest’s Range Rider Pilot Program have not lost any livestock to wolves. Nor have they had to call in the authorities to lethally remove wolves. Through the support of generous donors, in 2015 we’re expanding the range rider effort. This year we’re working with seven ranchers on eight different grazing allotments, helping them hire six range riders to patrol these allotments in the territory of six confirmed wolf packs. 2015 will be the pilot wolf conflict avoidance program’s fourth year in operation. For more on the Range Rider Pilot Program, check out articles from The Seattle Times and The Yakima Herald. From May into October, the program’s range riders will be at work in northeast Washington, in the Methow and Teanaway Valleys, on the Colville Reservation, and in the Colockum area southwest of Wenatchee. Confirmed wolves in these areas include the Smackout, Nc’icn, Strawberry, Lookout, Teanaway and Wenatchee packs. For the first time, Conservation Northwest will also have a range riding student intern during the grazing season. The intern will be range riding two to three days a week while also learning about comprehensive range management and predator conflict avoidance methods. Ranchers employ their own range riders; often experienced horse and cattlemen (and women) from local communities. Range riding is a herd supervision method, something that was once the norm for ranchers and cowboys but was not consistently practiced after top predators were eradicated from Western landscapes. While herd supervision is effective, we empathize that it’s an additional challenge with additional expenses for ranchers whose line of work is already tough as it is. We’re partnering with ranchers to provide information, training and cost sharing support. The goal of the Range Rider Pilot Program is to help them successfully coexist with predators back on the landscape. Along the way we’re preventing wolves from getting into conflict and building tolerance for their recovery. Between gas, supplies and pay for a skilled employee, a thorough range rider can cost ranchers as much as $20,000 per grazing season. But livestock producers who enter into our program can receive up to $9,000 in funding from Conservation Northwest and another $10,000 in matching grants from the Washington Department of Fish and Wildlife (WDFW), enough to nearly or completely cover their seasonal range riding expenses. State contributions come in part from a legislature-approved program that uses vanity license plate sales to fund the implementation of predator conflict avoidance efforts. Through the Conservation Northwest program range riders can also receive training and resources on wolf biology and behavior as well as tracking and wildlife monitoring skills. It’s important for these herd supervisors to be able to distinguish a wolf kill from that of a cougar or bear. Or to know to observe ravens and vultures that might alert them to a dead cow or an elk or deer kill, occurrences which can inform livestock management and might warrant moving cows in the other direction. Speaking at a May range rider training in Republic, Washington, Jay Kehne, Conservation Associate and Range Rider Pilot Program manager for Conservation Northwest, said he believes the range riding concept is catching on. And that the general body of knowledge for coexisting with wolves is growing in Washington state. The scene on the ground in Washington’s wolf country echoes Kehne’s point. Conservation Northwest’s program has more ranchers involved than in past seasons, aided by input from national wolf experts as well as experience from other states and Canada. In addition to providing matching funds for ranchers to employ conflict avoidance methods including range riders, carcass removal, guard dogs and fladry (flags that deter wolves from entering pastures), WDFW is now implementing contract range riders on some public grazing allotments near known wolf dens or rendezvous sites. And a number of independent livestock producers are hiring their own range riders and herd supervisors after seeing the method’s success. Want to support this important program? Make a donation today to safeguard wolf recovery. According to WDFW conflict specialist Jay Shepherd, another crucial thing range riding can do is detect injured livestock and remove them from the open range. Cows and calves become injured for a variety of reasons, and moving them to a protected corral until they heal can go a long ways towards reducing opportunities for predators. Kehne also stresses the benefits of teaching cows to behave as a herd, to bunch up and face down predators instead of fleeing. Wolves and other predators typically prefer lone animals on the run. Breeding and teaching cows to act more like wild bison or their aurochs ancestors is a centuries old method for reducing depredations. Part of the reemerging field of “Low Stress Livestock Management”, these techniques have been shown to be successful at reducing conflicts with wolves in Montana and other Rocky Mountain states. Learn more about wolf recovery in Washington state. At the May range rider training, Kehne, university wolf researchers and the WDFW conflict prevention staff stressed the fact that though range riding has proven to be very effective, it isn’t a cure all. Though optimistic about the success of range riding so far, and its benefits for promoting coexistence with wolves, the program leaders noted that even with diligent herd supervision and other conflict avoidance methods, depredations can and will still happen. 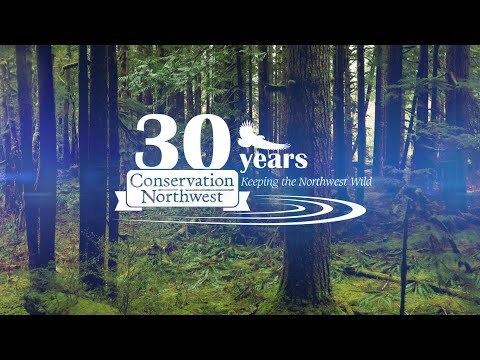 Conservation Northwest and the agency both stress the importance of record-keeping for both ranchers and range riders. Herd supervisors are expected to take regular notes about any wolf sightings, range conditions, their efforts to supervise the herd and any conflicts that develop. In the event of a depredation, this information is vital for guiding the proper response from both state and federal wildlife managers and conservation organizations. Conservation Northwest believes Washington can be the state where natural wolf recovery works in the long run; for people, wolves and all the Northwest’s wildlife. There’s still much work to be done, but the success of our Range Rider Pilot Program, and the spread of nonlethal predator conflict avoidance methods in our state are undoubtedly positive notes in a polarized debate.